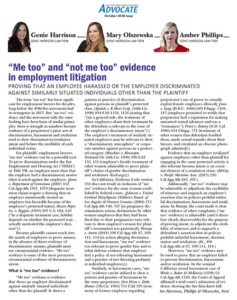 Read the complete story below, or download the pdf HERE. 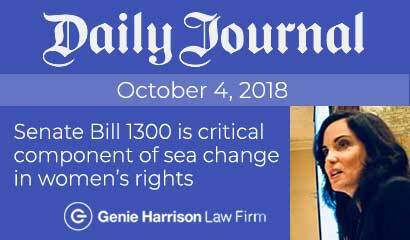 Senate Bill 1300 finally eliminates the pass given to bad actors in the workplace that was rooted in the way the “severe or pervasive” standard hostile work environment cases was applied by the courts. 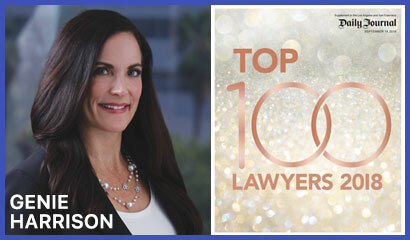 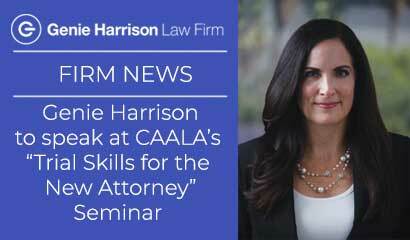 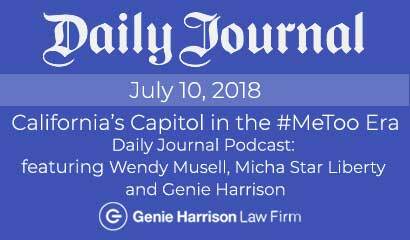 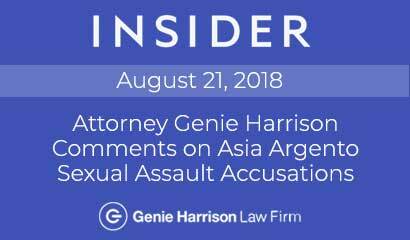 Genie Harrison has been recognized as one of the Top 100 Lawyers in California, across all categories, by the Daily Journal, the nation’s leading daily legal newspaper, focused on law and business in California. 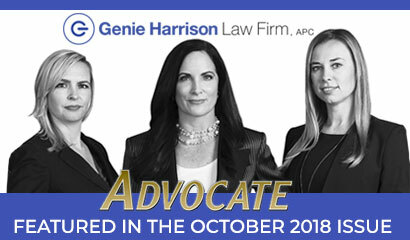 When CBS announced the departure of President and CEO Les Moonves on September 9, it was evidently hoping to close a sordid chapter in its history and move forward with a clean slate. 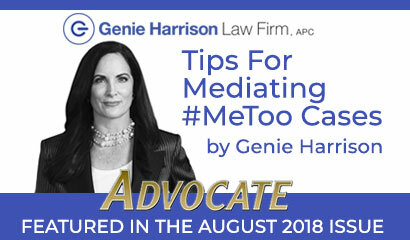 Moonves had been charged with creating a toxic workplace, rife with sexual harassment and retaliation. 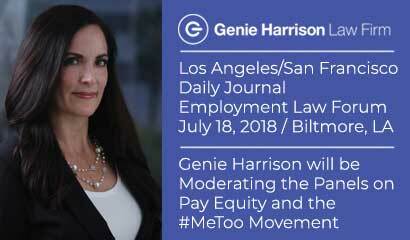 CBS, in a corporate mea culpa, pledged $20 million to #MeToo. 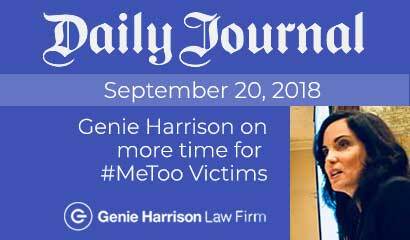 Genie Harrison has been selected by the Daily Journal as a Top Employment Lawyer for 9th straight year. 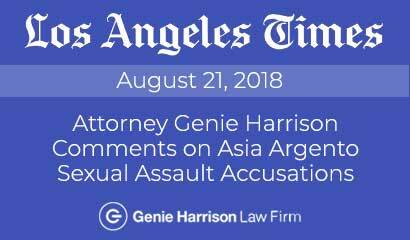 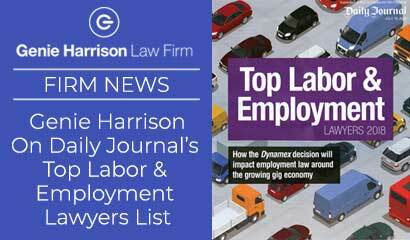 Genie Harrison has been recognized as a 2018 Top Labor & Employment Lawyer by Daily Journal, a newspaper focused on law and business in California.